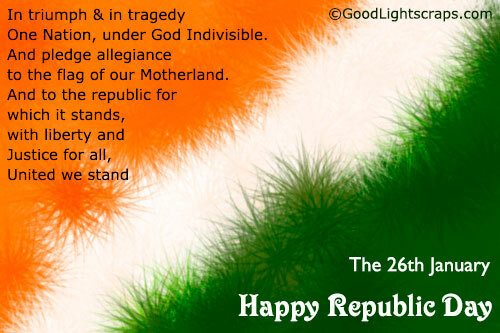 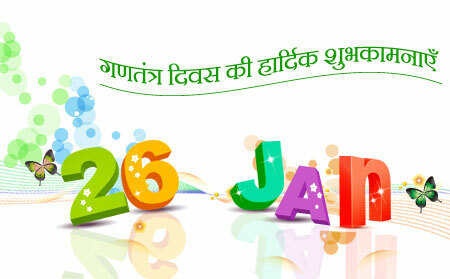 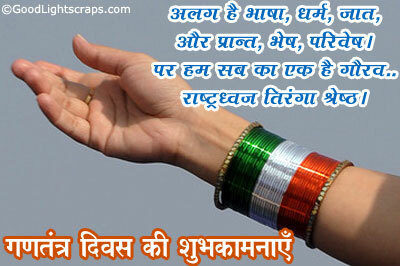 26th January is the Republic Day of India. 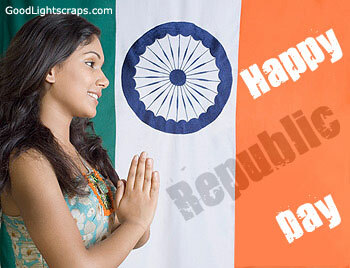 Although India obtained its independence on August 15, 1947, The Constitution of India came into effect only on January 26, 1950. 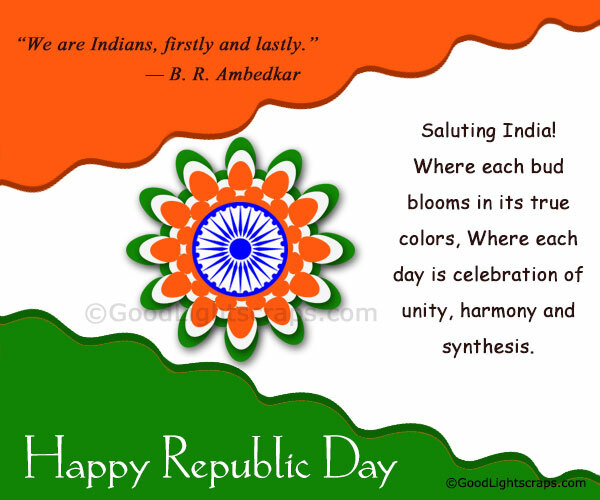 So Republic Day is a very special day in Indian history. 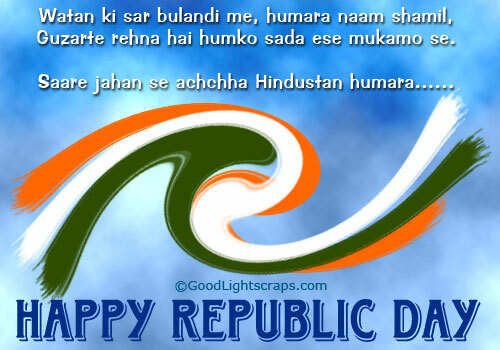 Lets celebrate this auspicious day by sending republic day greetings and wishes to your friends through orkut, myspace, facebook. 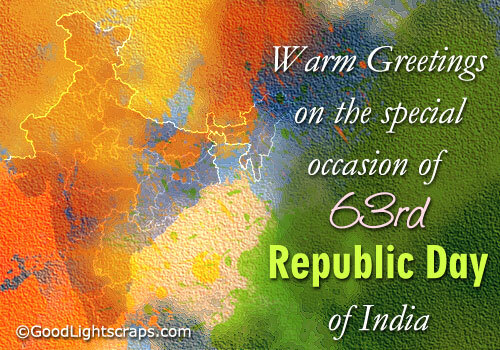 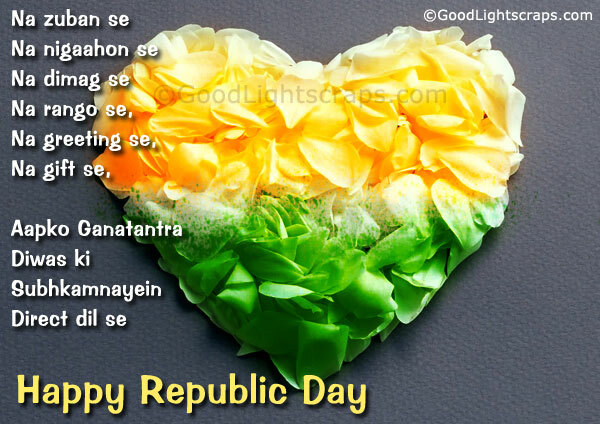 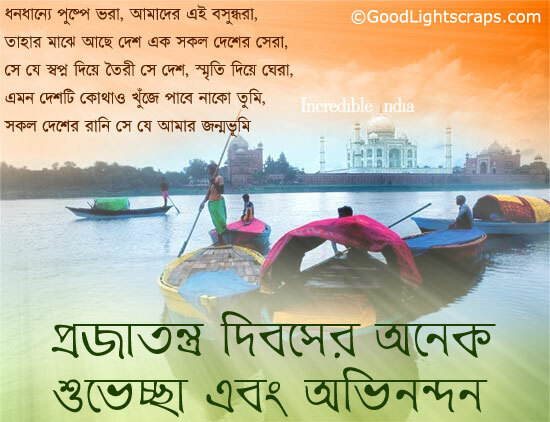 Send republic day scraps, comments, greetings, animated 26th January ecards and graphics to wish your friends, relatives and loved ones to celebrate the 63rd Republic Day.